In the coming days, Paris will become the global epicentre of design. 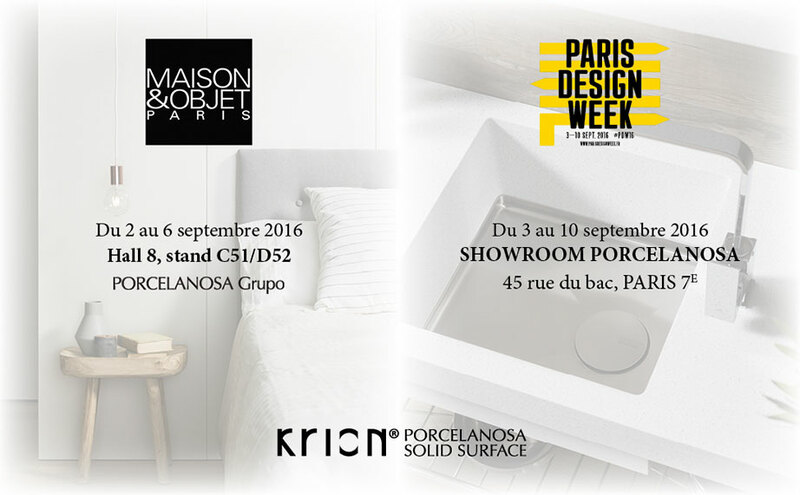 The French capital will hold both the Maison & Objet and Paris Design Week events, and PORCELANOSA Group, will participate in both. At Maison & Objet, from the 2nd to the 6th of September, PORCELANOSA Group and KRION® will present their new products, mainly their PREMIUM collections, an exclusive luxury concept for the most demanding clients. We will be in Hall 8, stand C51/D52 Become an M&O exhibitor. For Paris Design Week, from the 3rd to the 10th of September, our Porcelanosa Paris store will organise a party for its best clients. On Friday the 2nd of September from 18:00-23:00 the kitchen designed by 3 star Michelin chef Quique Dacosta will be presented, with a sample of gastronomy, cocktails and many more surprises.